the most trusted and respected name in Home Inspection for 33 years. Helping you make your next housing decision, a well informed one! Purchasing the largest investment of a lifetime, can be a very stressful process - Whether dealing with a real estate agent or a real estate service like Grapevine Home Marketing, let HOME INSPECTORS in Ottawa eliminate the guesswork for you. Whether buying, selling, or renovating your home in Ottawa, let our qualified, insured and certified professionals at HOME INSPECTORS in Ottawa be of assistance. We're Ottawa's most established and reputable home inspection company since 1980. At Home Inspectors Ottawa, we know that our qualified, expert staff are what set us apart from other inspection firms. We have knowledgeable full time office personnel to answer any of your concerns before, during and after your Ottawa home inspection. HOME INSPECTORS Ottawa is a proud recipient of the Better Business Bureau "Torch Award" for Exceptional Service and Business Ethics, a first for any home Inspection company in Ottawa! You can Trust Home Inspectors for reliable service. We offer a complete range of Ottawa Home Inspection services including those for homebuyers, home sellers and homeowners. Whether purchasing or restoring an older heritage home in Ottawa or buying a newly constructed one, we have the expertise to ensure that you'll fully understand all the aspects of your property. HOME INSPECTORS offers the most comprehensive line of home inspection services in the city today including free complimentary thermal scans with all of our standard home inspections. 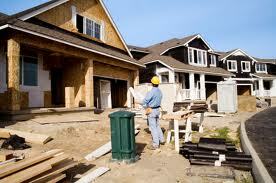 New Home Construction issues are our specialty. We offer various new home inspection services to confirm if your new home is what you paid for. From Framing, Pre-Delivery (PDI) Inspection to 30 Day and 1 year inspections, let our expert explain your new home and any issues to you, in detail. Our inspector knows so much about new home construction issues in Ottawa that Tarion Home Warranty asked him to assist in rewriting their Construction Performance Guidelines for 2013. Trying to save a few dollars with a budget home inspection, could cost you thousands later on. Would you know if your home had been a former Grow Op? What about Radon Gas Issues? Was your home built on unstable soil like leda clay? Many homes in Ottawa were! Did your builder have to resort to using large Styrofoam blocks in your area? 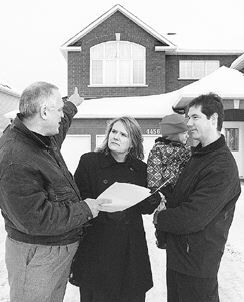 Since 1980, HOME INSPECTORS in Ottawa has been protecting Ottawa home buyers by alerting them to housing concerns specific to our area. Our Home Inspector is the most experienced in the city today with 4 recognised professional home inspection designations and having completed over 23,000 home inspections in the Ottawa area. He has gained National recognition and awards for his dedication to the home inspection profession. He is also a test examiner for the National Home Inspector Certification Council. The Most Trusted Name in Home Inspection in Ottawa. Your Need Experience on your side - lots of it! Need to find a home inspector elsewhere in Ontario or Out-of-Province? We can Help! © 2003-2013 - Home Inspectors® All rights reserved.